BU’s Ageing & Dementia Research Centre have been working closely with Dorset Health Care University Foundation Trust over the last 8 months to develop and then deliver a joint conference on dementia at BU on Monday 24th April. The organising team was led by Cliff Kilgore consultant nurse DHUFT and Dr Michele Board from BU. Michelle O’Brien from ADRC provided excellent administrative support, essential for such an event. 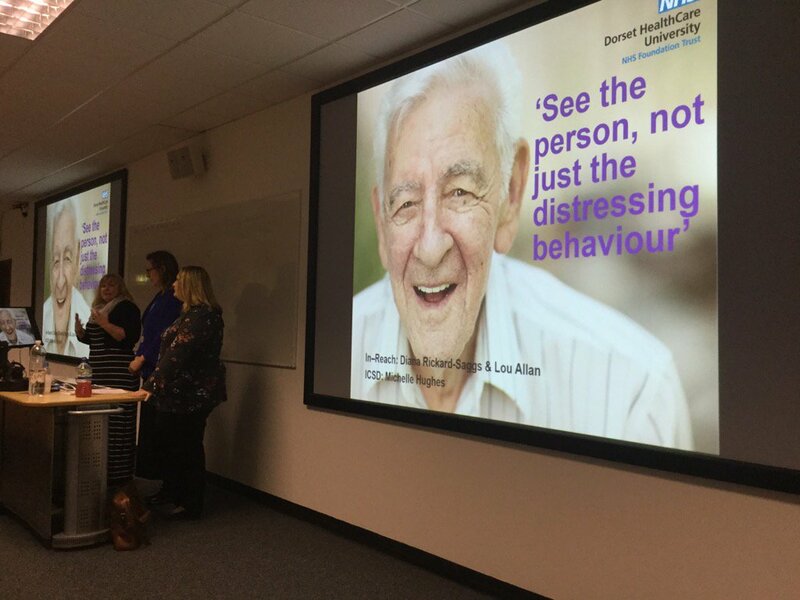 The conference was called ‘Seeing the Person Not The Diagnosis’ and over 150 staff from DHUFT attended. Dr Michele Board, Professor Jane Murphy and Dr Michelle Heward all spoke at the conference, alongside colleagues from the DHUFT. Dawn Garret RCN Professional Lead for Care of Older People was a key presenter, as well as a carer who attended with her husband who has dementia. The day finished with all staff attending a dementia friends session. It was an excellent example of collaboration with attendees enjoying the varied and interesting presentations and workshops. There were stands by Admiral Nurse, ADRC, CPD, Alzheimer’s Society, as well as poster from ADRC and DHUFT. It was a really great day with a positive buzz about improving the care of people with dementia. For more information search Twitter for the hashtag: #DHCBUdementia.